There are associations of students for every branch, in that they conduct various programs about their branch. Festivals, sport activities, and technical events are also organised here. There are 4 hostels 2 hostels for boys and 2 hostels for girls. The hostel fee is INR 13500/- per year. Food quality is good.The hostel is fully attached with wifi system. There are many labs and libraries. Regularly there are 4 classes for this programme. The teaching method is good, they use new technology for teaching like a powerpoint presentation, seminars etc. Course fee for this programme around INR 90000/- per year. For M.Tech program no scholarships are available. Only for SC category students scholarship is available. Loan facility is easily available. Internships are done in college simultaneously with M.Tech programme for getting a stipend. The campus is good in this college. Many companies come here for recruitment. Every batch students are placed yearly. The eligibility criteria for taking admissions to an M.Tech program is you have to complete graduation in the specific field. And the entrance exam for taking admission for M.Tech is GATE exam. You will have to qualify the GATE exam. Typical cutoff for civil engineering is a rank under 29. Our college is famous all over Maharastra for our NSS campaign. Our students have attended National camps of NSS. also MESA, CESA and other department students association are there. Our college has been arranging one national level event, the "OLYMPUS" in which students from all over Maharashtra participates in events like Robotics, Lathe war, etc. We have national level played Boxers, Cricketers, Archery players and Footballers. Every year our college arranges cultural program named BEATS which contains dancing singing and Dramas. A Day-Night matches event named "GLANCE", which includes Cricket, Football, Table Tennis and much more games. Seminars on robotics, mock parliaments, mock security council, A visit to Ashram on every festival, Shawl distribution to workers, food distribution and water distribution during WAARI at Pandharpur; such a many social programmes are there arranged by Shri Vithal Education and Research Institute College of Engineering, [SVERICE] Solapur. My college taught me to give respect and take respect. Our college has a vision to be recognised one amongst the best institutes in India for pouring technical education with a personal touch. There is a total of 4 hostels here at Shri Vithal Education and Research Institute College of Engineering, [SVERICE] Solapur with two for boys and two for girls. The hostel fee per month is Rs. 1,100. The outside hostel fee is Rs. 1,700 per month. The food cost Rs. 22 per meal which is of much better quality. The infrastructure of our college is fabulous. The quality of labs and classroom are very nice. We have two Libraries, one of Academics and GATE related and other is for MPSC, UPSC preparations. WI-FI under NKN and with a speed 1gb per second is provided. There is also research laboratory for students. The research centre provided by BARC and research laboratory for Helicopter blades are open till midnight. The daily routine at Shri Vithal Education and Research Institute College of Engineering, [SVERICE] Solapur starts with the class timings from 8 AM to 4.30 PM. There is a 'Pranayam Session' between 10 to 10.30 AM and break is given for 15 min. The lunch break is for 1 hour during 12.45 to 1.45 PM. Two days are given for Final year students for Project work that is Monday and Tuesday. We have a weekly holiday is on all Wednesdays. We haven't had a holiday on Sunday because, on Sundays, all banks are closed so students can do their official, banking work on Wednesdays. Our college policy is to complete all the syllabus with assignments on each chapter. Also, Pandharpur Pattern is there according to which every student should is provided PPPE papers for practising the students during exams period which we have to submit during submission. We have 70% PHD holder teacher and others are performing. The Quality of teaching is excellent. The overall experience can be shared in two words "I'm satisfied." Our college is in a Rural area, but we are getting all the facilities like 3D printer, a standard of living, quality education and much more. 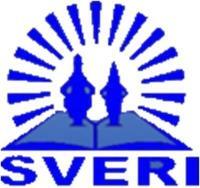 My admission fee at Shri Vithal Education and Research Institute College of Engineering, [SVERICE] Solapur is Rs. 83,700 per annum which includes tuition fees as well as development fees. The EBC scholarship is for Open category students and for other categories, various schemes are available as well. Almost 75% of the students get scholarships. The college itself helps students to get bank loans. The Key companies that visit Shri Vithal Education and Research Institute College of Engineering, [SVERICE] Solapur for hiring individuals are TCS, Wipro, Cognizant for CSE-IT and for Mechanical Posco, Bafna, Triveni Turbines and such companies are there. The highest salary package gained by a student at Shri Vithal Education and Research Institute College of Engineering, [SVERICE] Solapur is 6.5 lakh per annum. The Alumni network of our college formed a website through which they are providing us guidance for placements and current market conditions by their experience. Shri Vithal Education and Research Institute College of Engineering, [SVERICE] Solapur provides an allowance for visiting the various companies as well. The eligibility criteria for my course at Shri Vithal Education and Research Institute College of Engineering, [SVERICE] Solapur is decided on MHT-CET and JEE marks. For the Mechanical Branch, there is a cutoff of 70 marks (MHT-CET) and 10 marks (JEE), taken into consideration. I took my admission here through MHT CET exam. There are two hostels are there one for boys and one for girls. Well satisfied mess facility is at college. Classrooms have appropriate area to learn and well developed labs are also available. There is absense of stipend and internship facilities. It is difficult to pay college fees for me. There is absense of campus facilities to M.E students and no student is placed from my batch to company. Good infrastructure and well qualified staff also. INR 83000 is the college fees per year. I am satisfied with college timings and daily class routine. Staff is well experienced and they are well qualified. Staff have strong technical records. Staff uses advanced methods like audio and video methods for teaching. There are 2 boys hostels and 2 girls hostels. Outstanding Classrooms, labs, libraries, dining halls, Wi-Fi and other key infrastructure. The companies visiting our campus are POSCO STEEL, TCS , MAHINDRA, TUREL GROUP, etc for recruitment. Alumni network is spread all over India. The annual college fees is Rs. 43,000. The college timing is from 9:00 A.M to 5:45 P.M. Outstanding teaching faculty,all the syllabus is completed in class. All the departments have their own student asssociation like MESA, CESA, ELITE and SPIRIT and we also have overall student council. For each and every function a diffrent committee is established so that everyone should get a chance to work.We celebrate our each and every national festival and international day's . The college life is full of fun with responsibilities. There are 2 girl's and 3 boy's hostels. Food quality is very good and it costs almost Rs 1,300 per month. Classrooms and labs are are excellent and wi-fi is also available. There are internships but no stipend is given. Many companies visit our college for placements. Average packages are Rs 3.5 lakhs per annum and Highest package is Rs 5.6 lakhs per annum. Almost 40 to 50 % batch gets placed. Alumni network is very large and strongly active too. Course fee is Rs. 5,000 per month. The college is disciplined and culture based. Overall experience is very nice. I enjoy learning here. Our discipline is our strength.